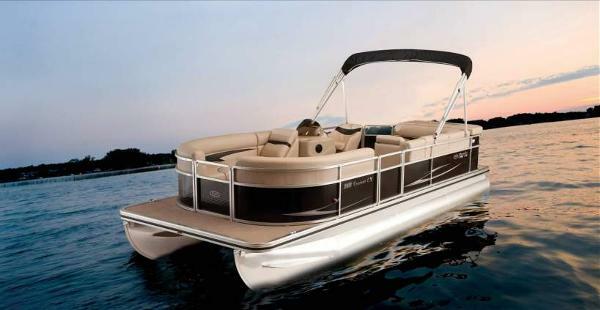 XL Jets Now Offers Pontoon Boat Rentals from Xtreme H2o Pontoon Boat Rentals! Imagine yourself and your guests anchored out in the Destin's emerald green waters on an Xtreme H2O Pontoon Boat. There are so many great things to do on a pontoon boat like water sports, sunbathing, picnicking, swimming, snorkeling, or just sitting back relaxing as you cruise the areas island chain taking in all the breathtaking Destin views...ABSOLUTE PARADISE! What type of fun can you expect to have on an Xtreme H2o Pontoon Boat? Ahoy, Captain _______ (your name here). Welcome to Destin and the Emerald Coast. Destin is always beautiful with our amazing topaz green tropical waters. XL Jets offers many amazing activities uncluding: Parasailing, dolphin tours on one of our waverunners, jet skis or Pontoon boat rentals! Here is your chance to become the fantasy Captain you've always wanted to by renting a pontoon boat in Destin! Heard of Crab Island? Well guess what, we are by far the closest to the biggest party in the gulf coast! Rent a pontoon boat and idle for less than a minute to Crab Island. Just don't try to swim! All XL Jets PONTOON BOAT are powered by 4-Stroke effiecient motors; have sun shade tops for sun protection; each person will have a life jacket for floatation; a boarding-ladder for easy entrance and exit from the beautiful water; we also include fuel with the price of the rental!